Ends up he had a buldging disc & had to get a cortisone shot. He's feeling much better now & hopefully won't injure himself again. The kids attended Vacation Bible School at the Harvest Methodist Church. 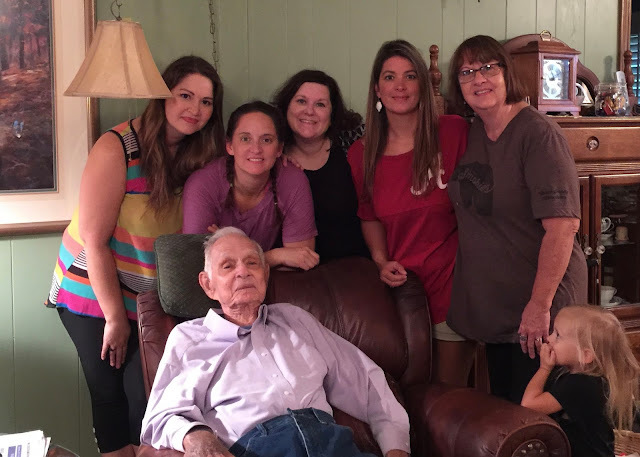 We celebrated my Papa's 88th birthday! We visited Nick at the grand opening on his new Missouri City store. And then we went & watched a local production of the Little Mermaid at Inspiration Stage. And it was great! and then finally got a haircut right before school started! And that's how we spent our summer... chilling like a villain! !